The third sentence of 35 U.S.C. 302 indicates that the “request must set forth the pertinency and manner of applying cited prior art to every claim for which reexamination is requested.” 37 CFR 1.510(b)(2) requires that the request include “[a]n identification of every claim for which reexamination is requested, and a detailed explanation of the pertinency and manner of applying the cited prior art to every claim for which reexamination is requested.” If the request is filed by the patent owner, the request for reexamination may also point out how claims distinguish over cited prior art. The prior art applied may only consist of prior art patents or printed publications. The prior art regime under which the application for the patent was examined (the first-inventor-to-file prior art regime, or the first-to-invent prior art regime) will generally be applied in reexamination of the patent, and any statement in the request applying the prior art must reflect that. These provisions are subject to the exceptions of 35 U.S.C. 102(b), and effective filing dates are determined pursuant to 35 U.S.C. 102(d). For further information as to the first-inventor-to-file prior art regime, see MPEP Chapter 700. Substantial new questions of patentability may also be presented under 35 U.S.C. 103 which are based on the above indicated portions of 35 U.S.C. 102. Substantial new questions of patentability in a reexamination proceeding filed under 35 U.S.C. 302 must be based on patents or printed publications. Other matters, such as public use or on sale, inventorship, 35 U.S.C. 101, 35 U.S.C. 112, conduct, etc., will not be considered when making the determination on the request and should not be presented in the request. Further, a prior art patent or printed publication cannot be properly applied as a ground for reexamination if it is merely used as evidence of alleged prior public use or on sale, insufficiency of disclosure, etc. The prior art patent or printed publication must be applied directly to claims under 35 U.S.C. 103 and/or an appropriate portion of 35 U.S.C. 102 or relate to the application of other prior art patents or printed publications to claims on such grounds. The statement applying the prior art may, where appropriate, point out that claims in the patent for which reexamination is requested are entitled only to the filing date of the patent and are not supported by an earlier foreign or United States patent application whose filing date is claimed. For example, the effective date of some of the claims in a patent which resulted from a continuing application under 35 U.S.C. 120 could be the filing date of the continuing application since those claims were not supported in the parent application. Therefore, intervening patents or printed publications are available as prior art. See In re Ruscetta, 255 F.2d 687, 118 USPQ 101 (CCPA 1958), In re van Langenhoven, 458 F.2d 132, 173 USPQ 426 (CCPA 1972). See also MPEP § 211.05. Thus, for example, once the request has cited documents (patents and printed publications) and proposed combinations of the documents as to patent claims 1-10 (for example), the request must explain how each of the proposed combinations specifically applies to each claim that it is asserted against (i.e., claims 1 – 10), explaining how each document (reference) identified for the combination is used. Ideally, the required explanation can be provided using an appropriately detailed claim chart that compares, limitation by limitation, each claim for which reexamination is requested with the relevant teachings of each reference cited in the request. See the sample request for reexamination in MPEP § 2214. For proposed obviousness rejections, requester must provide at least one basis for combining the cited references, and a statement of why the claim(s) under reexamination would have been obvious over the proposed reference combination. Preferably, the requester should quote the pertinent teachings in the reference, referencing each quote by page, column and line number and any relevant figure numbers. The explanation must not lump together the proposed rejections or proposed combinations of references. - Claim 1 is unpatentable under 35 U.S.C. 102 as being anticipated by, or in the alternative, under 35 U.S.C. 103 as being obvious over the Smith reference. - Claim 1 is unpatentable under 35 U.S.C. 103 as being obvious over Smith and/or Charles. - Claims 3 - 10 are unpatentable under 35 U.S.C. 103 as being obvious over Smith in view of either Jones and Cooper or Harvey and Cooper. - Claims 3 - 10 are unpatentable under 35 U.S.C. 103 as being obvious over Smith in view of Harvey, taken alone or further in view of Cooper. - Claim 1 is unpatentable under 35 U.S.C. 102 as being anticipated by Smith. - Claim 1 is unpatentable under 35 U.S.C. 103 as being obvious over Smith. - Claim 1 is unpatentable under 35 U.S.C. 103 as being obvious over Charles. - Claim 2 is unpatentable under 35 U.S.C. 103 as being obvious over Smith in view of Jones. - Claim 2 is unpatentable under 35 U.S.C. 103 as being obvious over Smith in view of Harvey. - Claims 3 - 10 are unpatentable under 35 U.S.C. 103 as being obvious over Smith in view of Jones, and further in view of Cooper. - Claims 3 - 10 are unpatentable under 35 U.S.C. 103 as being obvious over Smith in view of Harvey, and further in view of Cooper. (B) explicitly withdrawing any document, combination, or claim for which reexamination was requested for which there is no explanation. Obviously, once this is done, requester need not provide an explanation for the withdrawn document, combination, or claim. Thus, for example, if the requester’s response to the notice explicitly withdraws the request as to claims 6-10, then the documents and their combinations need only be applied separately as to claims 1-5 of the patent. Likewise, if the requester’s response to the notice explicitly withdraws the Jones patent from the request, then no explanation is required as to the Jones reference, and all combinations advanced in the request that contained Jones are deemed to be withdrawn. Even if the request fails to comply with one of the above-identified requirements, the request may be accepted if it is readily understood from the explanation provided in the request as to how the cited patents or printed publications are applied to all claims which requester considers to merit reexamination. The consideration under 35 U.S.C. 303 of a request for ex parte reexamination filed under 35 U.S.C. 302 is limited to prior art patents and printed publications. See Ex parteMcGaughey, 6 USPQ2d 1334, 1337 (Bd. Pat. App. & Inter. 1988). Thus an admission, per se, may not be the basis for establishing a substantial new question of patentability. However, an admission by the patent owner of record in the file or in a court record may be utilized in combination with a patent or printed publication. For handling of admissions during the examination stage of a proceeding (i.e., after reexamination has been ordered), see MPEP § 2258. The admission can reside in the patent file (made of record during the prosecution of the patent application) or may be presented during the pendency of the reexamination proceeding or in litigation. 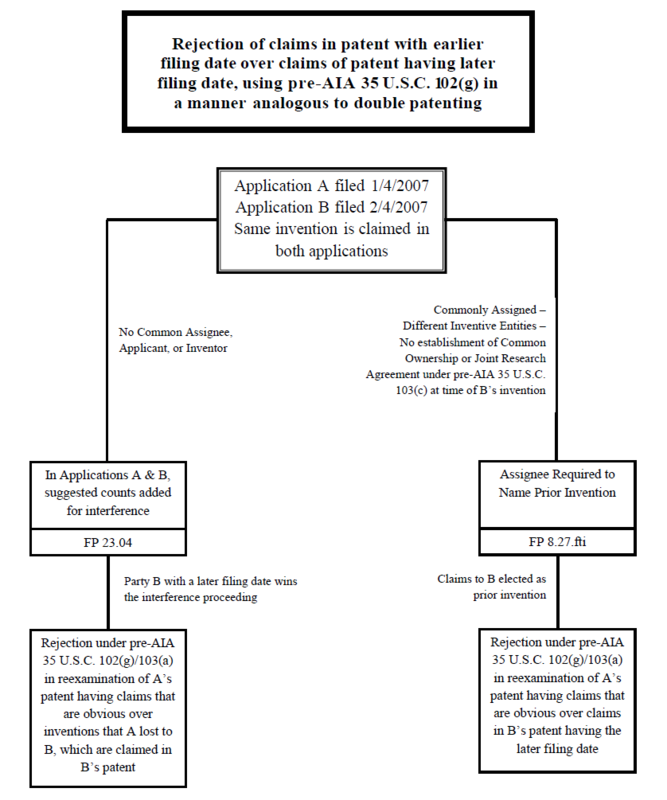 Admissions by the patent owner as to any matter affecting patentability may be utilized to determine the scope and content of the prior art in conjunction with patents and printed publications in a prior art rejection, whether such admissions result from patents or printed publications or from some other source. An admission relating to any prior art established in the record or in court may be used by the examiner in combination with patents or printed publications in a reexamination proceeding. The admission must stand on its own. Information supplementing or further defining the admission would be improper. Any admission submitted by the patent owner is proper. A third party, however, may not submit admissions of the patent owner made outside the record of the file or the court record, unless such admissions were entered into a court record. If an admission made outside the record of the file or the court record is entered into a court record and a copy thereof is then filed in a reexamination (as a copy of a paper filed in the court), such paper could be admitted pursuant to MPEP § 2282; however, such would not be given weight as an admission with respect to use in establishing a substantial new question of patentability, or as a basis in rejecting claims. Such a submission would be outside the scope of reexamination.